I love making lists! Nothing feels better to me then being able to cross off the things I have completed. With this list, I have the added bonus of knowing that I am making steps towards living a healthier life! It was important to me to have things on the list that I don’t have to travel a lot for. All the things on my list are within a couple hours drive so I don’t need to travel far! 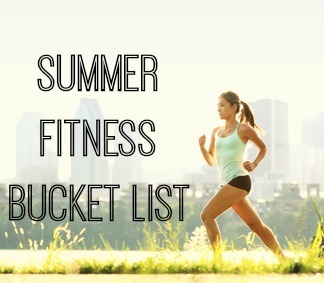 What would you put on your Summer Bucket List?